Home There’s something sweet coming to the Intensive Care Network. It’s the Jellybean Podcast, a semi-educational confectionary. Jellybean Podcasts started at Bedside Critical Care and then the first SMACC back in 2013. To date they have been recorded and released on Soundcloud which is more DJ’s than Doctors. It worked well because once I record them and put them on Soundcloud and anyone can use them. lifeinthefastlane.com picked them up and have been supporting them ever since. It is a different sort of interview. For a start it is always recorded face to face and usually in a corridor or stairwell. Second it is always recorded in one take. There is no cutting, no editing and no trickery. Third, the only moment of editorial control comes after the end of the interview when I ask the person I am talking to if they want to delete the entire thing? If the subject of the interview is happy then the whole thing goes out as it. The interviewee is in control. It is more than straight forward education. In fact I focus upon the in-between stories. Like what is it like to find your self as a doctor in the centre of Christchurch during the earthquake or what is it like to be the expedition medic on the Russian ship Akademik Shokalskiy caught in the Antarctic pack ice like Shackleton. I talk to serious researchers like Derek Angus and college presidents like Charlie Corke. What is it like to be in a Reality TV Hospital or to run SMACC or ANZICS or the CICM ASM? Often I talk to people about how they got to do something interesting, something that you may be interested in too. I talk to to doctors, nurses, paramedics and more. I talk. They talk. It’s good to talk. Last year I was joined by Matt McPartlin FCICM ( @RollCageMedic ) We have over 100 recorded interviews. There are a lot of them that are focused on Intensive Care. This year I collaborated with the College of Intensive Care Medicine in a new project. At the ASM I recorded a series of podcasts and basically gave them all to the College. These interviews and lectures from the ASM will be rolled out here on I_C_N over the coming months. More free stuff! This means you will get two flavours of Jellybean here on the Intensive Care Network; The new Co-Branded CICM X Jellybean Interviews and the old-skool Jellybeans. They are distinct entities. Only those clearly presented as Co-Branded with CICM are associated with the College. Those CICM Jellybeans will also be available through the Colleges own website. 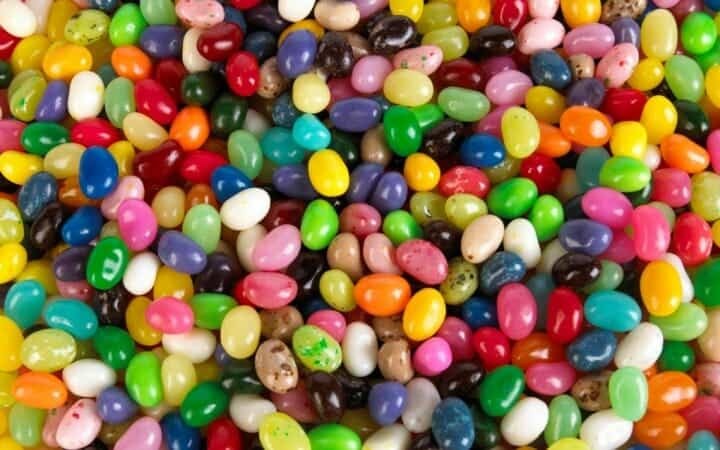 Jellybeans are political, ethical, comical, informal and sometimes controversial. They are flawed things made by flawed humans. Mistakes are made. As Prof Karim Brohi said in his Jellybean; Half of what we know is wrong. If you disagree with something on a Jellybean, tell me. View our Jellybean with Dr Sara Yong here.